As you likely know, the Chinese tend to consume a lot of green tea. They use it for treating everything from headaches to depression and everything in between. Western medicine is just starting to understand and agree with this method of treatment. Scientists are conducting a variety of studies to see how green tea helps with various ailments and in what quantities a person would need to consume them. There are those who do not need to see any scientific studies to believe that green tea helps them with rheumatoid arthritis, cardiovascular disease as well as infections or with an impaired immune system. It has been found that green tea can help you with cholesterol and possibly with cancer. This is due to the antioxidants that scientists are finding in green tea. 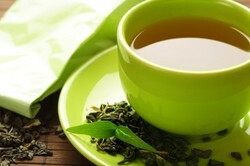 Drinking loose green tea daily can also help to lower high blood pressure. It is recommended that you drink 5 to 10 cups of green tea to get this benefit. Green tea has the ability to kill bacteria that cause tooth decay so you may want to drink it to help with any dental issues you may have. There was a study published by The Journal of National Cancer Institute about the fact that green tea reduced the risk of esophageal cancer in Chinese men and women by almost sixty percent. Another study which was done by the University of Purdue concluded that there is a compound in green tea which works to inhibit the growth of cancer cells. There is also a study which was done by the University of Kansas which determined that the EGCG may explain why Japanese men have a low rate of heart disease even though many of these men are smokers. A report was published in The American Journal of Clinical Nutrition that found men who took a combination of green tea extract and caffeine used up more calories than those who were only taking caffeine. You may be wondering though why these benefits are only in loose green tea or if you can get these benefits from other types of teas like black or oolong tea. The short answer is no. As you may know, all tea comes from the Camellia sinensis plant but the difference is that the green leaves are steamed which stops the healthy compound from being oxidized which is what is giving you all the health benefits. The leaves for black and oolong tea are dried or fermented which these benefits to be lost. I like tea, especially green tea. It is healthy and yet has caffeine to wake me up. How do you know how to choose between the staggering number of tea bag brands available in the US? Here I give some tips for picking the brand you are likely to enjoy most.